This is the fiftieth post and it's also the third month that StickgirlProductions is in business and it's been a really inspiring month. In that short span of time, I have created Birthday Cards, Mother's Day/Father's Day cards, Engagement Party Invites, Thank You cards/stickers, name cards, nursery artwork, promotion posters, special occasion posters, personal artworks and more in the #workinprogress pile! I feel so blessed to be able to create something new, to put colour in an otherwise plain picture and to be able to put a smile on another person's face. This is a business but more than that, I'm just glad I can connect with so many people directly and indirectly. I'm excited to see this business grow and while I'm still green, this self-taught artist/businesswoman/designer is so thankful to all the supporters and friends who has taken this journey with her. Most of all, the crazy customers who has taken a chance with my inexperience and have only great things to say. THANK YOU! I sincerely hope to deliver more pieces/prints/designs in the future. On that note, Thank You! And not forgetting the June Babies! That's right, it's your turn to shine :) June babies will always have a special place in my heart because some of the most important people in my life are June babies. 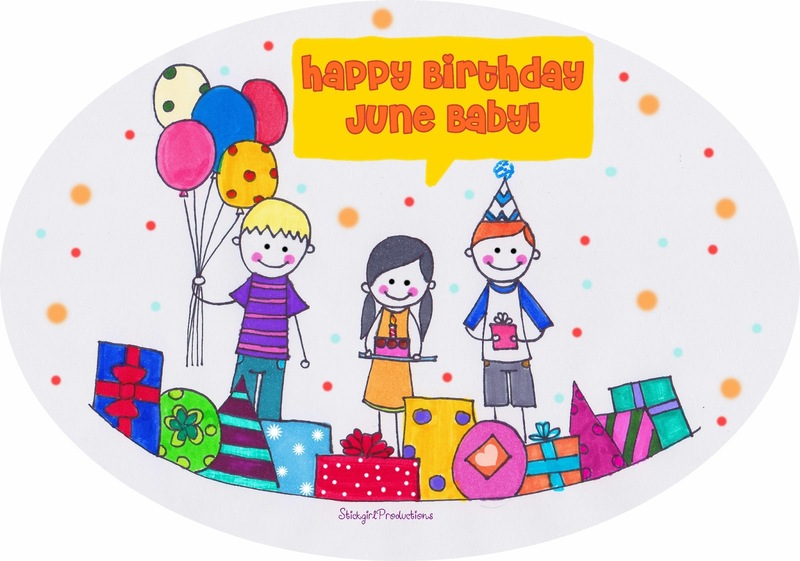 So if you're a June baby, you are definitely in good company! Happy Birthday!